Brainy Bunny has a master's degree in Greek and Latin Philology, with particular interest in historical linguistics and ancient religions. Ancient Greece is often considered the cradle of the western world. 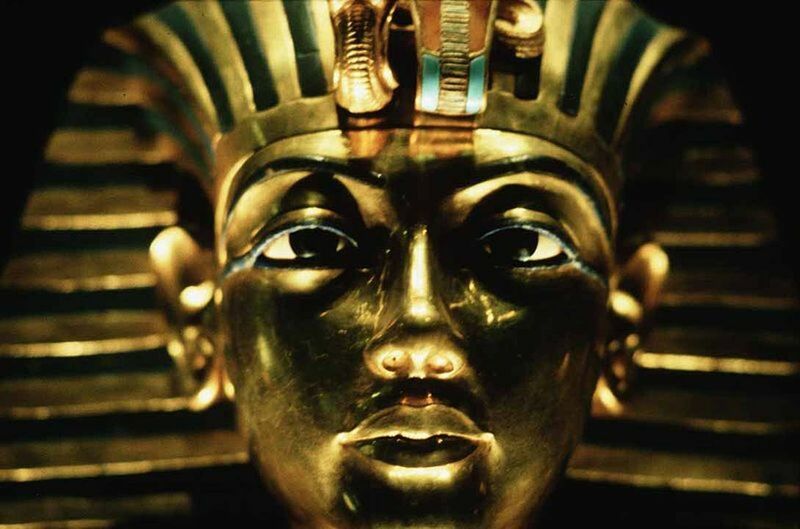 Its art, literature, political thought, and even its very language have influenced western society for thousands of years, and continue to influence us today. One very obvious area of influence is architecture: Just look at the downtown of nearly any major city in the U.S., or many of the great cities of Europe. Ancient Greek influence is lurking within the facades of buildings as varied as the Lincoln Memorial in Washington, D.C., the Prado Museum in Madrid, and Downing College, Cambridge University, in Cambridge, England. Read on to learn about the basic elements of ancient Greek architecture, as well as how those elements influenced Roman architecture in ancient times and Neoclassical architecture, Federal style, Georgian Revival, and Beaux-Arts style architecture over the past several hundred years. When we think of ancient Greek architecture, we are generally referring to temple architecture (or other public buildings, rather than residential). Ancient Greek temples featured proportional design, columns, friezes, and pediments, usually decorated with sculpture in relief. These elements give ancient Greek architecture its distinctive character. Scholars of ancient Greek architecture generally refer to three Orders: Doric, Ionic, and Corinthian. The differences among these are primarily in the shapes of the columns and decoration of the frieze. The Doric Order features columns with no base and a simple capital, and a frieze characterized by alternating triglyphs and metopes. The Ionic Order includes columns with bases, scrolled capitals, and a solid frieze (either sculpted or left plain). The Corinthian Order features slender columns topped with elaborate capitals shaped like stylized acanthus leaves, ornately-sculpted friezes, and decorative moldings. Another Ancient Greek architectural style that heavily influenced later architecture is the colonnade. 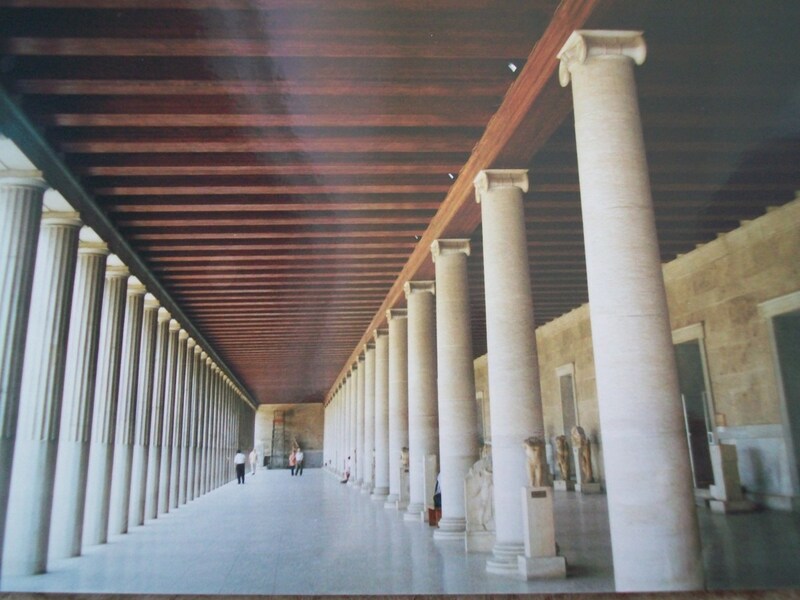 A colonnade is a row of columns supporting an entablature (and usually a roof). 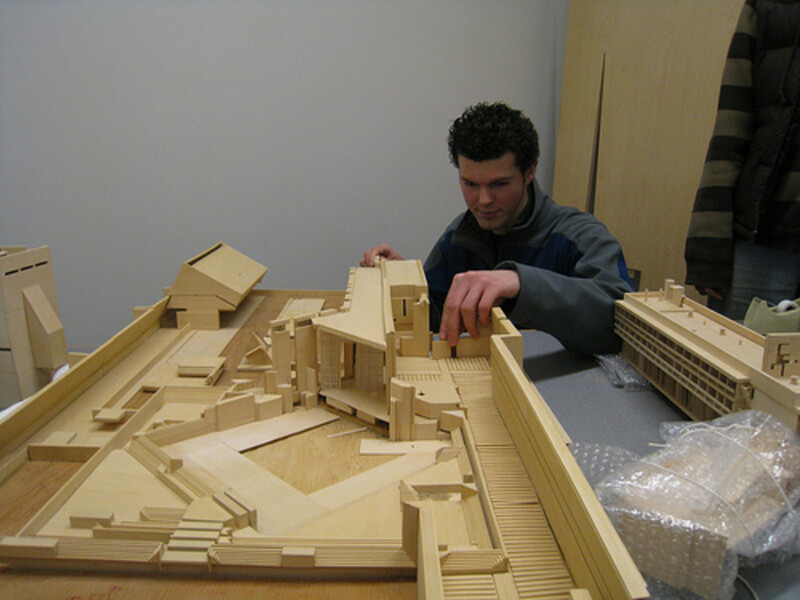 It can be attached to a building (as in a portico) or free-standing. In Ancient Greece, stoae (long covered colonnades) were open for use as public gathering spaces. They were much longer than they were deep, and were open on three sides, with the back walled in. A good example is the Stoa of Attalos in the Athenian agora (marketplace), which was reconstructed in the 1950s. 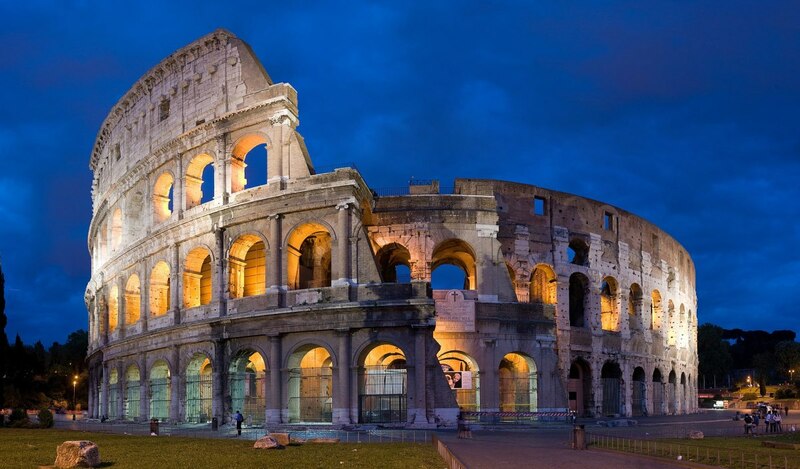 The Romans were tremendous builders, engineers, and architects in their own right, but in the course of conquering the western world, they were heavily influenced aesthetically by the Greeks. The prodigious use of the Ionic, Doric, and Corinthian Orders is the most obvious example. 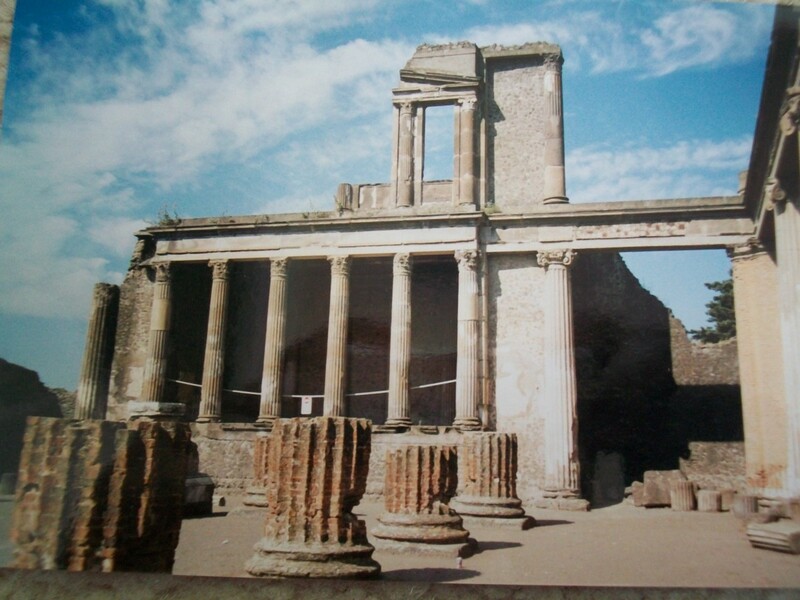 One common type of building found in the forum of any Roman city was the basilica, a hall used for transacting business and legal matters. It developed from the Greek stoa, but was usually fully enclosed rather than enclosed on one side. The hall contained colonnades on the inside, which helped to organize and divide the interior space. Neoclassical architecture comprises a group of related architectural styles popular from the late 18th century through the mid-19th century. Though some of the elements of neoclassicism are clearly Roman, such as domes, Greek influence is heavy in certain styles, such as Greek Revival and Federal Style. Neoclassicism was extremely popular in America, but you can find beautiful examples of neoclassical architecture all over Europe, as well. One famous example is the former Irish Houses of Parliament building, built in the 18th century. In the early years of the U.S., the founders of the country decided to model important buildings on the buildings of ancient Greece and Rome. This style (prevalent between about 1780 and 1830) is called Federal style. The influence of Ancient Greek architecture is apparent in the use of columns and colonnades. 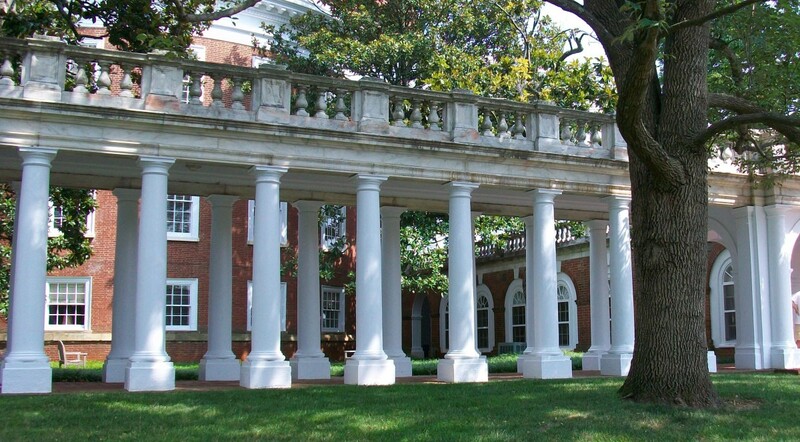 Thomas Jefferson was an architect during the Federal period, and he designed not only his own home, Monticello, but the campus of the University of Virginia in Charlottesville in this style. Greek Revival architecture became so widespread in the U.S. in the middle of the 19th century that it became known as the national style, and it was used extensively in houses and smaller public buildings of that time. This style generally featured the Doric Order in larger buildings, and simpler Doric columns topped with a small pediment (without a frieze) in houses. 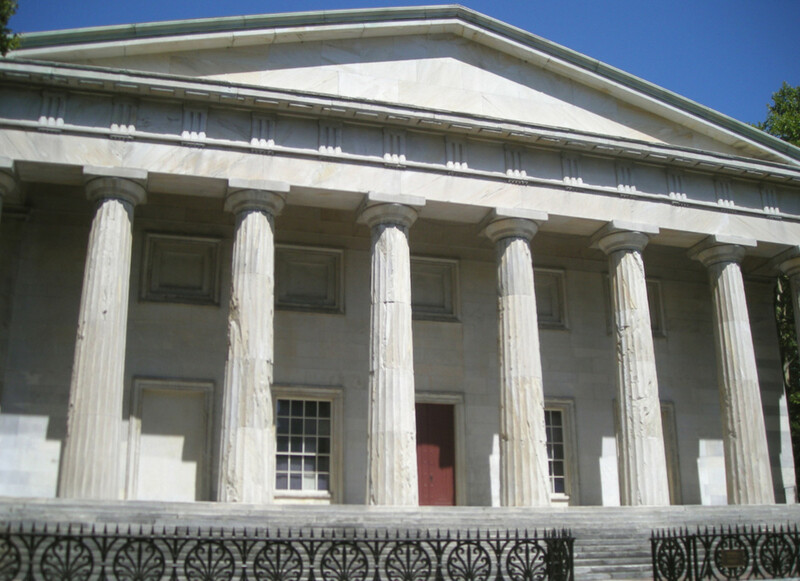 The first major public building built in this style was the Second Bank of the United States, built in Philadelphia between 1819 and 1824. The architect used the Doric Order as a model, but without sculptural decoration. This plainer look became fairly common. Finally we get to the most recent architectural style to be heavily influenced by the ancient Greeks: Beaux-Arts architecture, particularly in the U.S. (Elsewhere, Beaux-Arts style includes more Baroque and Rococo elements.) This style is lush with decorative elements, but you can still see the Greek influence in the use of the classical architectural orders and the use of marble as a building material. 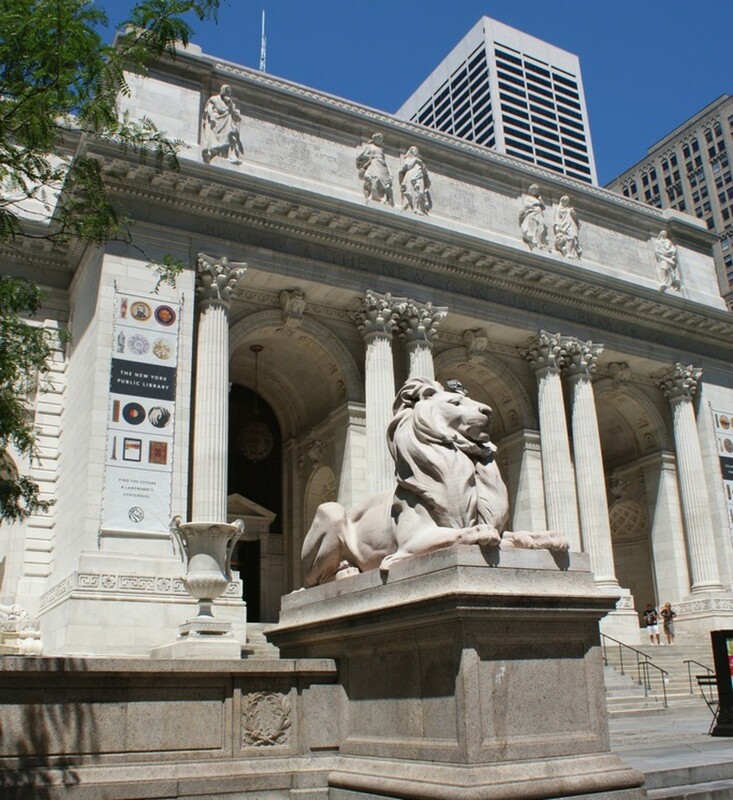 Some examples of Greek-influenced Beaux-Arts style are the New York Stock Exchange, the former Penn Station, and Low Library at Columbia University, all in New York City. 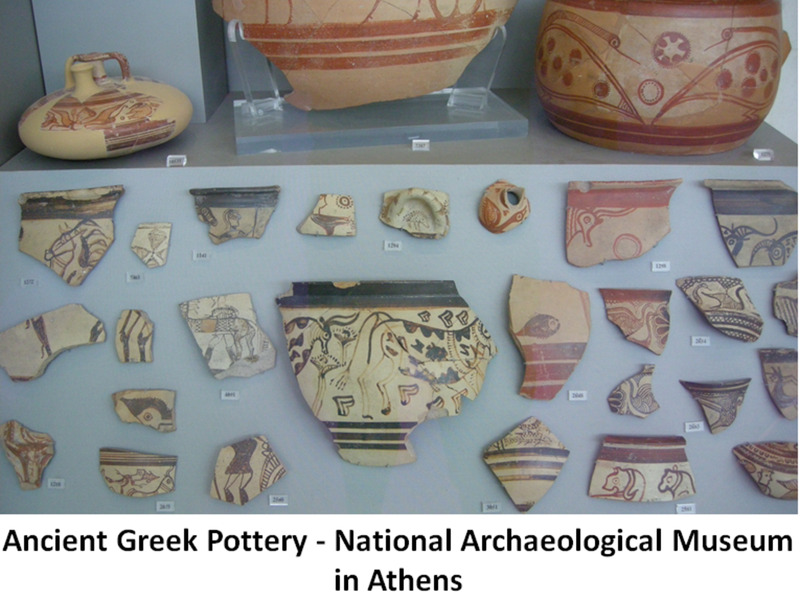 Biers, William R. The Archaeology of Greece. Ithaca: Cornell University Press, 1980. Curl, James S. Oxford Dictionary of Architecture. Oxford: Oxford University Press, 1999. Wentworth, Bruce. "Greek Revival." Ask the Architect.org. http://www.askthearchitect.org/architectural-styles/greek-revival-houses-architecture (accessed May 10, 2012). 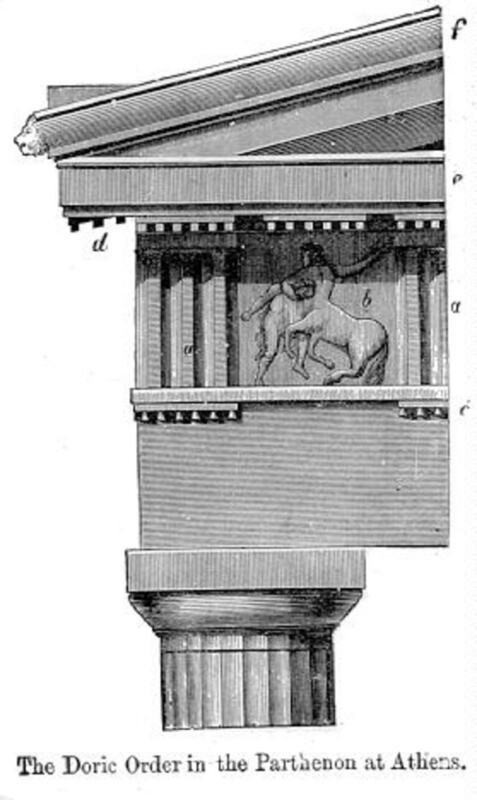 Are you telling us that the Greeks influenced modern architecture with, mainly, their columns? That is undoubtedly the easiest visual link to spot! The use of columns as both decorative and functional has been the hallmark of Greek architectural influence for thousands of years. 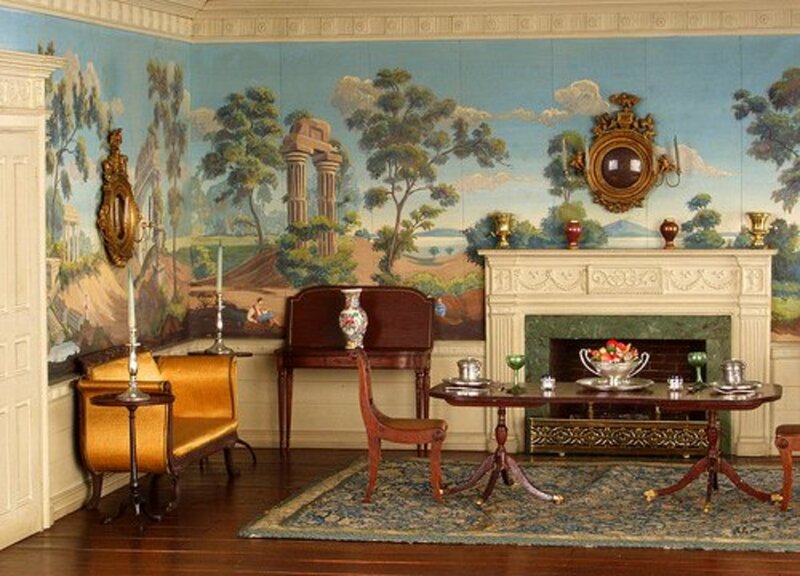 But don't forget other items like decorative friezes and overall harmony of proportion, which are also important. Are there more columns other than Doric, Ionic, and Corinthian? Those are the classical styles, but in later periods there was more innovation and some mixing of styles. Thanks. I love the information.I have school questions to answer and you helped a lot!THX! This is really cool! I'm doing a project on it and I can't wait to present. This helped me a lot! This article is very helpful and it helped me a lot. Did you know that Minerva is actually the Roman form of the Greek goddess Athena who sprung from Zeus's head fully grown and in battle armor? this is helpful for school! This article helped me with my school assignment. Thank you brainy bunny! I also find it very interesting that Thomas Jefferson was an architect himself! Nice job! Alfred I agree. This website is helping me a lot with my research paper/essay. Thank you for writing this Brainy Bunny. I learned a lot about this that I didn't know before. It helped me for my school assignment. this article help me a lot in finishing my task. I can`t wait for more article like this! Thank you so much.Love you BRAINY BUNNY!!!! It was very helpful, and it was well written, like other peoples said. So, Thanks. Maurice, there is a lot of symbolism behind the government's choice of architecture. I hadn't heard the story of the California state seal before, but that is a great example. On the whole, the founding fathers wanted to emphasize the connection with the classical Greek ideals of democracy and personal responsibility for the good of the people. Great article. Do you know the reason as to how US Gov't buildings came about to use Greek style architecture. Is there any sort of significance between government and Ancient Greek Art that the US Gov't adopted that style? For example, I am a peace officer in California. On my badge is the California state seal, and within the seal is an image of the Greek Goddess Minerva. Minerva is used because she was born as an adult and thus California was never a territory before it became a state. Thank you!!!! Glad to be of service, Yasmina! AMAMZING BRAINY BUNNY HELPED SO MUCH AND LET ME LEARN MORE ABOUT GREEK ARCHITECTURE!! Thanks, Half Moon. I don't have any other articles about architecture specifically, but I do have some about other Ancient Greek topics. Awesome really interesting and very helpful and has nice pictures. Can you do more? very helpful. i myself am part greek but never lived there or knew much about it. Thanks for the info! This is a very useful hub, especially for tourists to Europe. Those terms are so often splashed all over descriptions in museums and ruins. Thanks for elaborating on them. This really helped with my research paper. It is so funny how our architecture is based off of some of ancient Greek architecture. It's really intriguing!!! Aesta1, I've never been to Sicily. I'd love to go there and see the Greek influence on their architecture! 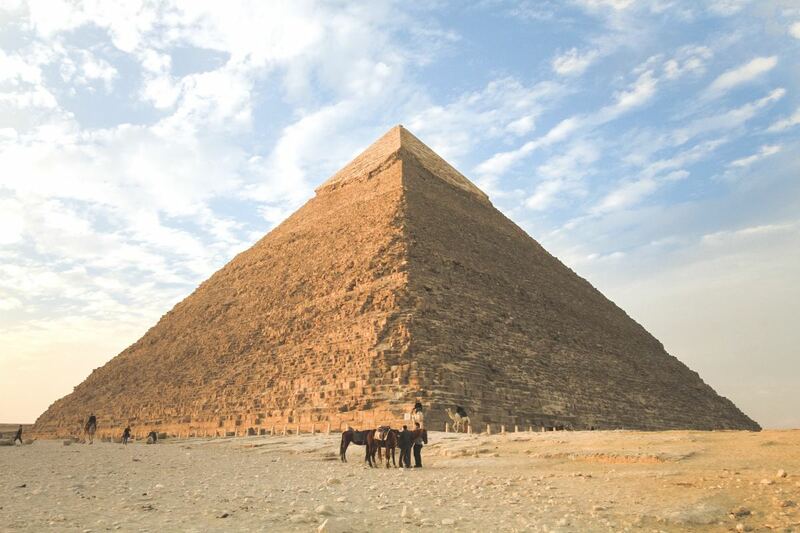 It is interesting to see how much influence the Greek civilization has on other cultures. We enjoyed exploring this in Sicily. I'm glad to be of help. Good luck with your class, OnlineGamer! Thank you, unvrso. 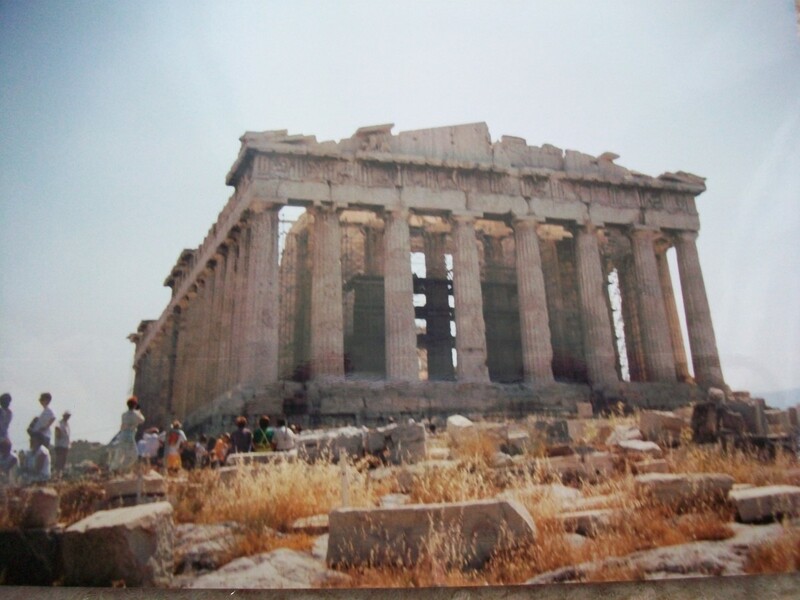 I find the spread of ideas across the globe fascinating, and Greek architecture is a great example of that. Interesting hub about Greek architecture. It´s true, there is Greek architecture influence all over the world. 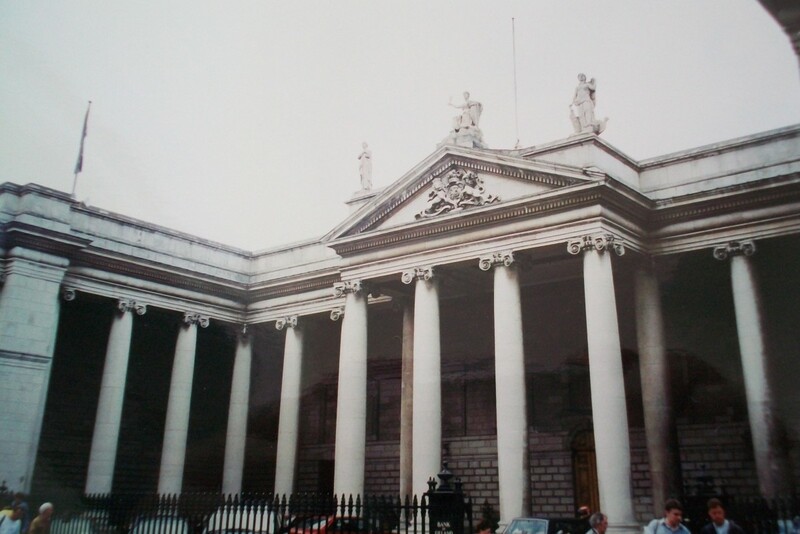 In the city where I live, there are some buildings and monuments with the characteristic columns of Greek architecture. Thank you, Raggededge. My degrees are in Classics, so I couldn't help but pick up a few tidbits about architecture along the way. You do know your stuff, Brainy Bunny! Beautiful photos and succinctly worded article. Thank you all for reading and commenting! There is so much to love about Ancient Greek architecture. One of the things I like best is that although all the architectural styles influenced by the Greeks are beautiful in their own ways, truly none has topped the simple perfection of the ancient temples. Charmike4: Yes, the Greeks were such good builders that they were able to compensate for visual distortion in a monumental building on top of a huge hill. Amazing, huh? JKenny: I hadn't paid much attention to the nuances of difference in the architectural styles influenced by the Greeks before writing this hub; I just knew I liked them all. Now I know why, too! SanneL, ModernLady, GoodLady, wewillmake: I am so glad that you found my discussion helpful and thorough. Thanks again for reading. Greek architecture is so amazing that nobody can believe that they are built centuries before... Nice photos and incredible hub..
Nice photos and a learned Hub. Loved learning about the influences of Greek architecture on more recent buildings. Thank you for this well-researched hub about Greek architecture. You described it very clear and it was very helpful to learn the difference between the Doric, Ionic, and Corinthian Orders. Thank you! Voted up, interesting and useful. A very well written article, its amazing to think just how much effort has gone in to try to revive Ancient Greek architecture. It's something that I was aware of, but never really paid any attention to. Thanks for writing this. Voted up and shared. Well-written and quite thorough. It'd be a great resource for anyone in an architecture history class. Thanks, Clevercat. I'm glad my degree was good for something! Beautifully written and chock full of good information, this hub is a great overview for anyone who enjoys architecture to needs to specifically learn about the Greek style. Voted up, beautiful, and interesting.